IMIPRAMINE HYDROCHLORIDE (Tofranil) has been used since 1960 to treat the symptoms of enuresis. An unpublished review (by J. W. C.) of the research reported during 1960 to 1965 revealed 28 studies, of which only six used a control group and a large enough sample to give reliable results.1-6 All six studies showed that imipramine did reduce enuresis significantly. 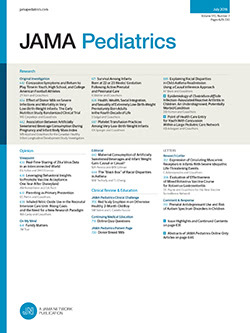 In comparison with those 28 studies, this is the first study to meet all the following criteria: doubleblind technique; a large sample drawn from a presumed normal population of schoolchildren; and exclusion of other therapeutic attempts (such as counseling, psychotherapy, conditioning, habit training, etc).